Timing: 9:00 a.m. To 4:00 p.m. Location: Changed to Saraswati Hall (from Kissena Park) due to predicted rain and thunderstorms. All are invited to a fun day of indoor activities. 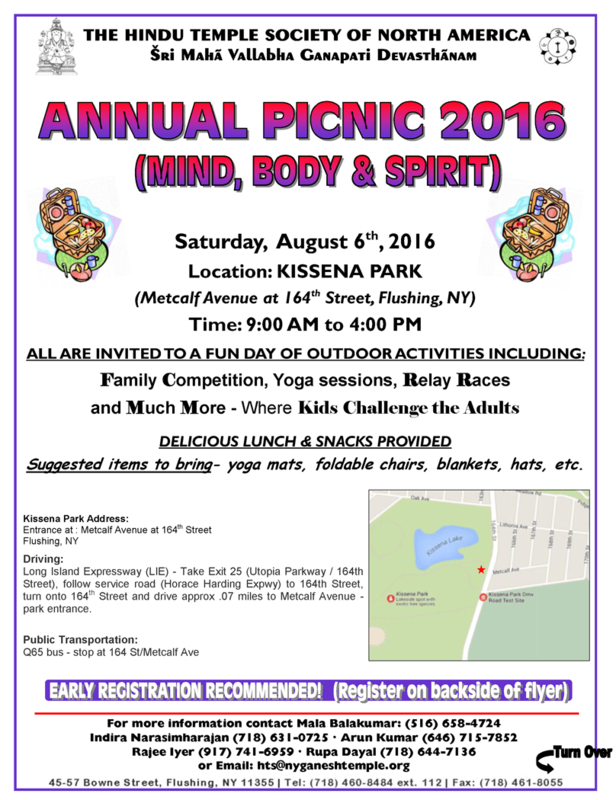 In spite of moving the picnic from Kissena Park to Saraswati Hall, we still plan to hold most of the games and other fun activities as originally planned. Examples are Yoga (please bring your own yoga mat), Spoon Race, Tug of War, Musical Chairs, Arts and Crafts, Mural painting, Board Games and other indoor games. This is a great opportunity to meet other Temple families in a relaxed environment and make friends! 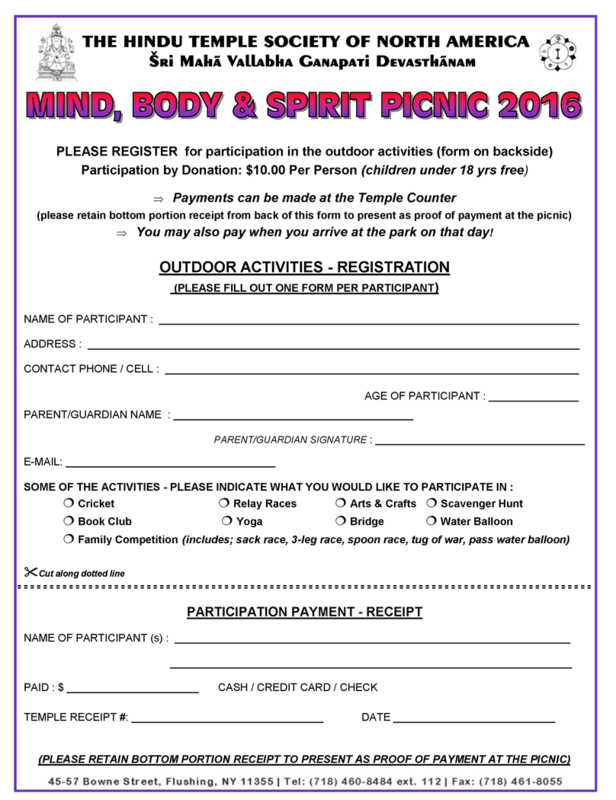 Please register by filling out the back of the flyer below. Indian & Korean Independence Day Celebrations – Thursday Aug. 18th at 6:30 p.m.
Next story Indian & Korean Independence Day Celebrations – Thursday Aug. 18th at 6:30 p.m.